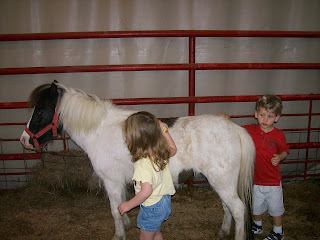 We attended preschool day at our county fair with our friends Angie and Kaelin. 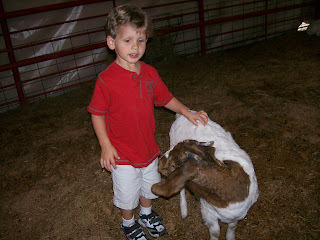 The kids were very excited to see all of the animals and really enjoyed the petting zoo. 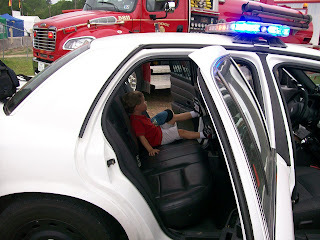 They also went on a hayride, watched a puppet show (although Dawson didn't stay amused for long), saw a firetruck and police cars. 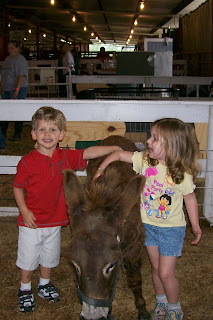 Dawson and Kaelin petting the very friendly (and tolerant) donkey. Petting one of the goats.